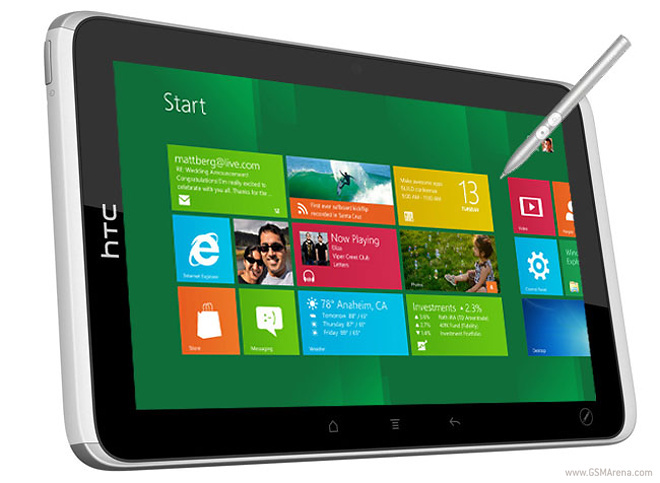 HTC is allegedly working on a couple Windows RT Blue powered tablets, which are codenamed R7 and R12. The “R” in the title indicates that the slates will be running on the latest Windows RT Blue edition. The HTC R7 is rumored to sport a 7″ full HD display and a 2.3 GHz quad-core Qualcomm Snapdragon 800 processor along with 2GB of RAM. The slate will also feature a 13 megapixel auto focus rear camera and will come out with a 16 GB of internal memory and supports expansion up to 32 GB via microSD card. The 7-inch tablet is said to feature an LTE radio and a range of connectivity options, which include Wi-Fi, Bluetooth 4.0. On the other hand, the HTC R12 will debut with a 12-inch 2048 x 1536 pixel screen. The larger tablet is said to have the same chipset as the R7, but even better connectivity. Unfortunately, there is no word on the pricing and availability details of the tablets, but the new slates are rumored to be launched on October 13.